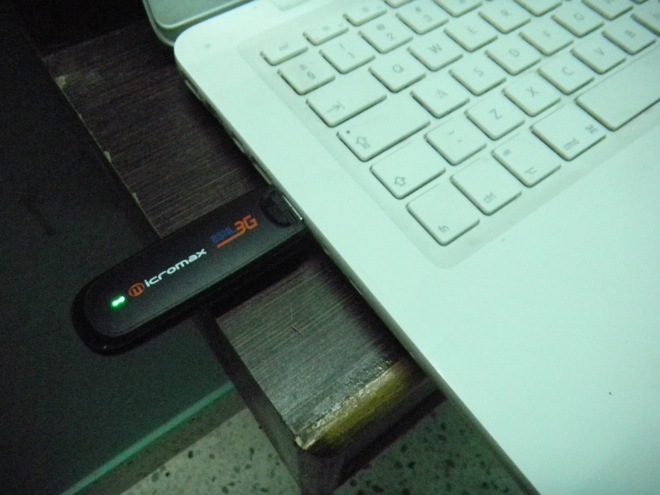 G3 USB Mobile Broadband Internet in the Pocket for India. Here in India receiving a sim-card for your cell phone and also the convenient USB broadband Internet Stick can be difficult since the terrorist attacks in Bombay in 2008 for a foreigner. However with the correct contacts and knowing the different companies will assist in accomplishing the process correctly here in India. My friend in Bombay gave me a sim-card for my cell phone. I provided him with a material provision and he was so happy he got me a sim-card hassle free, one down but one more to go which is accomplishing the 3G Mobile Internet . The Internet can be challenging here in India. Outside the western tourist areas most local tourist hotels don’t have wireless Internet. Purchasing the Mobile Broadband Internet is essential if you are staying in India long term. While I was in Nashik I tried to get the Mobile Internet through Reliance Interconnect, but the USB stick was not compatible with Mac. During the home-stay in Vishakapatnam the father of the house mentioned I should get the USB Modem though the government company of BSNL connected with Cellone. So here in Bhubaneswar I visited the main BSNL office and I purchased and received 3G Mobile Broadband Internet for my Mac, the 3G network is active most places in India next to private companies that only will have 3G in certain cities. The purchase was hassle free, they only needed a copy of my passport, visa, and a picture. No reference or hotel bill needed. These guys at the BNSL office were super cool and happy to provide me with the Mobile Internet hassle free. Johnny Vagabond is currently in India and wrote about purchasing a USB stick from Vodafone that only topped out at a slow 17kb. Without knowing the correct companies to purchase the Mobile Broadband Internet from, a person can be very disappointed with deceiving advertisements and bad service. If your in India and need Mobile Broadband Internet Service, only seek out BSNL or Reliance Interconnect as a last resort, and avoid Airtell and Vodafone. However for your mobile phone BSNL and Airtell use Cellone which is the best provider. My cell phone sim card is with Uninor which is OK but not the best. This makes my life much easier to accomplish web design and blogging. BSNL provides different prepaid plans that can be changed from month to month. The USB modem and sim-card cost 3000 rupees, however at anytime I am in India I can use the modem. I purchased the 10 GB plan for only 1000 rupees a month. They also have an unlimited plan for 1400 rupees a month. The total initial cost for the Modem, Sim-card, Activation, and first month of GB cost close to 5000 Rupees. $100 equals 4500 rupees, this might sound like a lot, but for myself the mobile broadband modem is essential. The per month cost is only $20 to $25 which is very affordable. i’ve just discovered your blog and have already read through a few of your posts from your archives — i like what i’ve read and will bookmark your blog so i can continue to follow your adventure from here on. i appreciate the honesty in which you seem to write and that you appear to be openminded and seeking to really experience the country and culture your are traveling amongst – not simply passing through to check it off a list. i’m heading to india myself in early 2011 to live for a year and think i will gather some good insight and tips from your time there. this post on wireless internet has already been quite helpful and given me some info i did not previously have. i also plan on reading through some of your archives as i find it so incredible that you’ve been traveling since ’07 and are content at just taking your time and stopping and nesting if you so feel – wow! that must be incredibly freeing in a way…being able to leave when you feel the need to move on and see/experience new things or being able to sit down unpack and stay awhile. Thanks for the comment, I will be posting many details within the next five months while I am in India. The country really is not the difficult to travel once you know the system and accept the infrastructure. Some good articles here and the pictures are very nice! Looking forward to travelling to India in the near future. Would like to discover Goa! Next post: Home-Stay in India and Organized Tours.